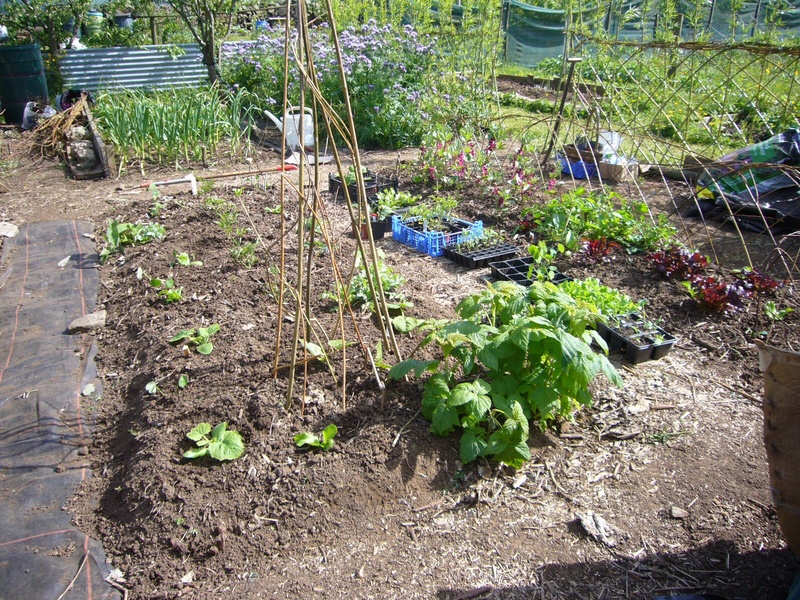 Now well into the second growing season on my allotments (two half plots) and I have made much progress this spring in redesigning the spaces to suit my gardening methods. Most significantly I have removed the bed edging boards and started the process of joining up beds and making new pathways to provide a more user friendly environment. 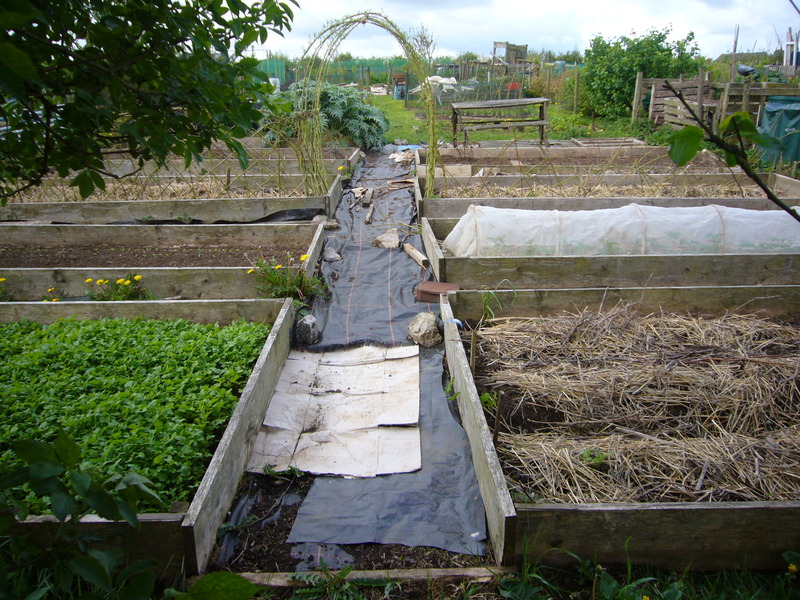 Straight lines formed from the boards and the need to step in and out of beds is not a very happy way to garden. The plants too are constrained by the boards, I like to plant each bed in a mixed way with flowers and veg and mixed family groupings more pleasing to the eye than following strict rotation rules or mass planting groups. The boards have to go! 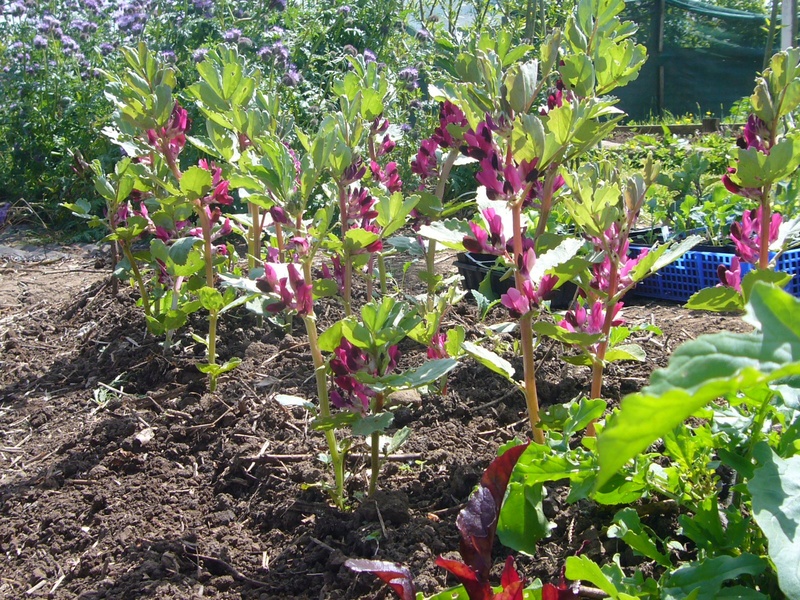 Doing nicely, above, a little bed of salad leaves and gorgeous crimson broad beans in flower. I have always called my methods ‘Sally gardening’ but apparently there is method in my madness and as mentioned in the heading, this is known as polyculture. 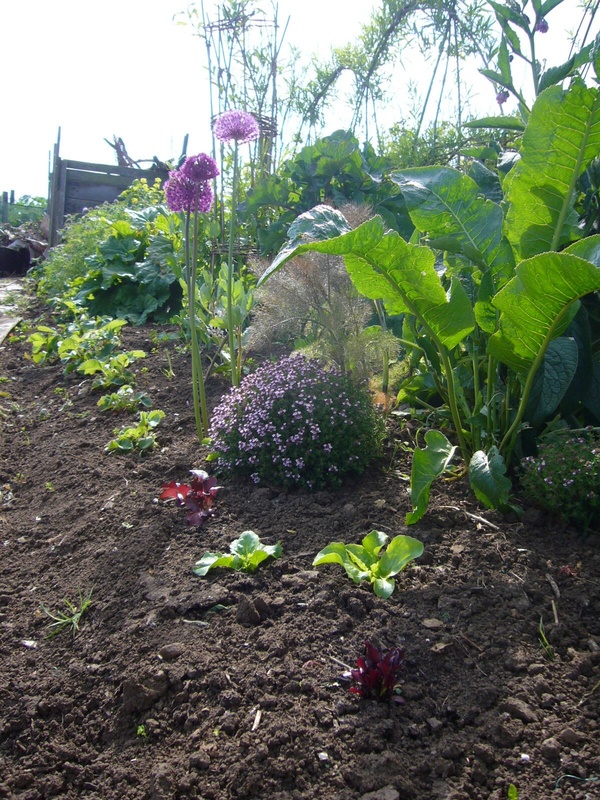 A blend of vegetables, flowers, herbs and perennials inter planted to make the most of the land area, microclimate and soil conditions. 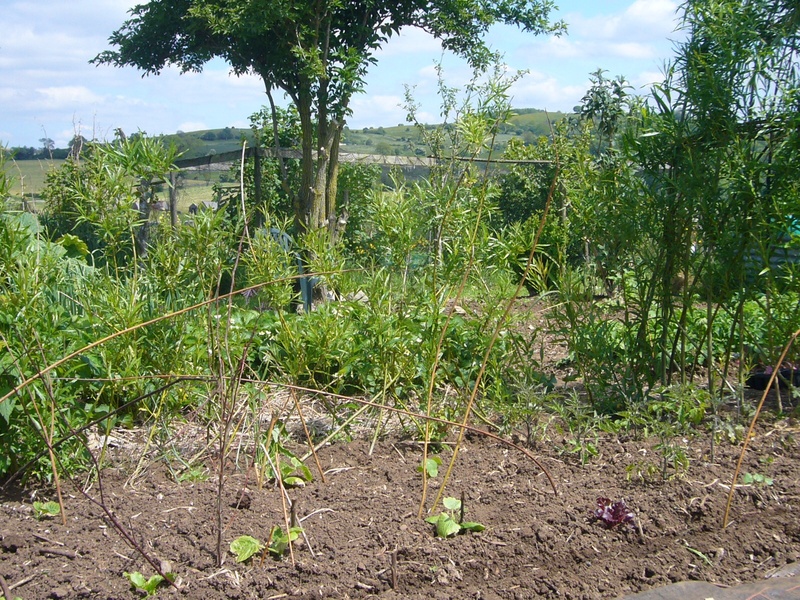 I have willow fedge with peas clambering happily amongst the withies, I plan to install a small pond or two later this summer, plant more perennial veg and generally experiment with what I can grow by creating flexibility and enhancing the planting opportunities as I garden. Bearing in mind this is a challenging site situated 300m up in the Peak District. I believe this method to have advantages over traditional methods because I am creating microclimates and cover with willow fedges and shrubs and I am gaining maximum area on the ground by reducing paths and straight lines.